Many years have elapsed since I last heard the Endellion String Quartet, but nothing prepared me for the kind of perfection achieved in this stunning release. For one thing, the sound, even by today’s highest standards, is extraordinary. The overall perspective is close but free of any harshness, while yielding an impact that puts the Endellion squarely in one’s listening area, with each instrument clearly placed. Of course, this would be a relatively minor matter were the performances not worthy of such fine engineering. Fortunately, in every respect they are, especially in being free of musicians’ heavy breathing that has infected other close-range string-quartet recordings. What is particularly interesting is Op. 20 No 4. Composed in 1772 it shines as one of his major achievements. Indeed, the six that comprise the Op. 20 set exemplify how the quartet genre stimulated Haydn’s imagination more fully, perhaps, than did any other one. Equally commanding is Op. 76 No. 1, dating from 1797, when Haydn was in the midst of his second London trip. With the Endellion, it gains a clarity and tension I have not heard in any other performance. This clarity is rooted in tempos that are a bit slower than one usually encounters, especially in outer movements. Yet one hardly notices this, in good measure because the group’s articulation is immaculate, even in the most rapidly articulated passages. The music’s occasionally brash assertions serve as a reminder of Haydn’s influence on Beethoven. The ‘Lark’ Quartet, Op. 64 No. 5 (1790) may not be on the exalted level of the other two in this release, but, as heard here, it comes close. Its opening movement, Moderato allegro, boasts a relaxed ease complemented by brash eruptions that blend lyrical grace with explosive eruptions, conveyed with greater conviction by the Endellion than by any other ensemble I have heard. The two-and-a-half minute finale is a buoyant romp – a model of sophisticated perpetual motion at its most humorous. This release is strongly recommended for those unfamiliar with this music or for others who collect multiple recordings of a given work. All of Haydn’s da capos in outer movements are observed. An Outstanding Release. The Endellion Quartet have given many Beethoven cycles in concerts during the 30 years of their existence… but only in 2005 did there begin to appear individual issues in what was heading for a complete Beethoven cycle (they were reviewed in these pages in October 2005 and March and November 2006). Now,the cycle is suddenly complete, together with quintets and quartet arrangements and other pieces that do not normally feature in a Beethoven cycle. Furthermore, the scores have been given a thorough revision by Jonathan Del Mar, hawk-eyed Beethoven editor now replacing, for Bärenreiter, the older editions with newly authenticated texts (as far as is possible, that is: Beethoven was a disobligingly inconsistent reviser of his scores, and ambiguities remain). For these reasons, as well as for the sustained quality of the performances, this is an impressive achievement. It has also been steadily well recorded: the players have a fairly close presence, with good balance between all four of them, and though three recording locations and four engineers over a period of four years are listed, the sound is remarkably consistent. Despite their equivocal relationship, Haydn hovered as a powerful influence over Beethoven in his early Op. 18 set of quartets. No interpreters can escape this, whether in echoing Haydn¹s style and turns of phrase or in emphasizing where his truculent pupil was kicking over the traces. String Quartet No. 3, probably, in fact, the first of the set that Beethoven composed, copies a Haydn harmonic trick by opening on a bare interval (A-G) intended to cause confusion about what key the music is in (D), and ends with another Haydn joke, fooling us about when the music has actually finished. So the work opens and closes with nods to Haydn¹s wit and the Endellions do well throughout to keep the manner light and the textures clear. Not until the Andante con moto do they use greater Romantic warmth of tone, making the staccatos which mark the second musical idea gentle and even lyrical by almost stroking them. This early quartet tends to be rated less highly than its successors, and the Endellions sensibly pay respect to the Andante’s richness of texture while not laying too great an emotional burden upon it. They take the expressive Adagio of Op. 18 No. 1 gravely, and with a restraint that causes the violent outbursts near the end to sound the more shocking. As a fascinating addition to the cycle, the disc includes Beethoven’s original version of the work, which he later dismissed in favour of the more familiar one, since ‘only now have I learnt how to write string quartets properly’. Most composers would be happy to have written the discarded version, but Beethoven’s second thoughts undoubtedly produced a tauter, stronger and more dramatic piece. Yet they weren’t even exactly his second thoughts: sketches show that the original opening was actually his ninth attempt at getting right a theme whose toughness and versatility was what he was struggling to find for the music he wanted. The Endellions’ sense of the contrasts in this set of six quartets serves them well. They have the length of phrase, deriving from a sure feeling for the harmony, to find the essential grace in the melodic lines of the opening movement of No. 4, while also having the wit to let the lightly ingenious counterpoint of the Scherzo almost veer into a waltz by the end; and then to succeed it by what must have then been the darkest minuet ever written. The light simplicity of No. 5 includes a rollicking performance of the fifth variation in the Andante, rougher than anything in Haydn and matching the ungainly bounds in the Scherzo of No. 1 in the set. The opening Allegro con brio of No. 6 possibly overstates the brio but they are brilliant in the Scherzo, with its bewildering rhythms: Beethoven’s time signature is 3/4 but much of the music is notated in 6/8, and the players produce just the right sense of heady confusion. Their doleful manner in ‘La malinconia’ anticipates later and darker emotions. These emotions begin to gather and deepen with the quartets of what is usually described as Beethoven’s ‘middle period’. The six years after the Op. 18 set and before the Razumovsky Quartets of 1805-06 were filled with much, not least the first three symphonies and the first version of Fidelio, and one of the features of the expansion in Beethoven’s quartet style was the extra weight he gave to slow movements. The Endellions make sensitive differentiation in the Razumovskys between the Adagio of No. 1 – in which there are subtle contrasts of expressive vibrato or lack of it in the increasing richness of the textures – and then the mood of the other two slow movements. The sense of serenity they bring to the Molto Adagio of No. 2 (Beethoven specifically asks for ‘much feeling’) differs from their mysteriously inward mood in the Andante (‘quasi Allegretto’) of No. 3, and for that matter with the Adagio of the so-called ‘Harp’ Quartet, Op. 74. Here, commentators as well as performers have disagreed to a surprising extent as to whether the feeling is happy or unrelievedly sad. The Endellions give it a poignancy that, as before, intensifies with the expressive ornamentation of the theme. Elsewhere in the Razumovskys, the Endellions extend the expressive range from Op. 18. In the Allegretto vivace of No. 1 they take the marking ‘sempre scherzando’ to mean not merely skittish but a detailed play of both textures and rhythm, very effectively before they plunge into the Adagio, and they perform the finale in a very open fashion after the complexities that have gone before. In No. 2 there is a delightful lilt to the Allegretto, with its clever cross-rhythms, and the gentle transformation of the Russian theme (one of Beethoven’s most affecting surprises) is apt preparation for a finale that benefits much more from the light touch it gets here than from grim forcefulness. On the other hand, in the fugal finale of No. 3 they go hell for leather, brilliantly. Their performances can also accommodate such outbursts as the almost manic frenzy of the first violin¹s quasi-cadenza near the end of the opening Allegro over the ‘harp’ pizzicatos in Op. 74, as well as the passages in the opening Allegro con brio of Op. 95. This, Beethoven’s so-called ‘Quartett serioso’, is well described as ‘sparer in texture and … much more explosive in manner’ by Philip Radcliffe (in Beethoven’s String Quartets ¬ London; 1965 ¬ one of the best of such guides). It is a demanding work: the Endellions do well, with compact but lucid phrasing, to maintain tension and clarity, and with a toughness of rhythm in the Scherzo to make sense of Beethoven’s challenging instruction Allegro assai vivace ma serioso. All players approaching Beethoven’s last quartets must be conscious of entering heil’gen Hallen, masterpieces which were once regarded as ‘repellently ugly’ or (by a mercifully anonymous French critic) ‘a tainted spring’ from which musicians drank at their peril, and are now taken to be some of the supreme achievements of one of the greatest of all musical minds. Yet solemn reverence is an unwise response. There are, certainly, movements as sublime as anything in the whole of Beethoven. The Endellions begin the Op. 132 ‘Heiliger Dankgesang’ of gratitude for recovery from illness gently, not too slowly, almost completely abjuring vibrato in the gravely intoning minims, and reserving their greatest inwardness of feeling for the final section (as Beethoven asks), before moving into the march movement as if it were a continuation into full health and energy. They play the Cavatina of Op. 130 as warmly as this song-like indication suggests, with a heavy burden of melancholy as the melody breaks up, beklemmt (‘oppressed’). ‘Never have I written a melody that affected me so much’, Beethoven said. Yet the work also includes a Presto which the players rightly take at breakneck speed, and in the German dance movement they understand that Beethoven is teasing his listeners by slipping the melody¹s natural rhythm across the bar-lines before finally breaking it up and throwing different bits of it around from player to player. The quartets are, in fact, filled with the contrasts that marked Beethoven’s music early and became by the end of his life more extreme than ever. The Endellions in general seem to take the view that a light touch can often reveal more in serious music than a ponderous one, such as with their flowing performance of the Adagio of Op. 127, which they follow with the abrupt humour in the Scherzo that almost lurches into a wild dance. They also have the clarity to deal with the confrontations of the opening movement of Op. 130, when the opening Adagio bars recur seven times in the course of the movement only to be almost barged aside by the forceful Allegro, all against the background of traditional sonata form. They conclude the work with a tremendous performance of the Grosse Fuge, another study in contrasts (Beethoven’s replacement Allegro is separately recorded). The seven movements of Op. 131, the most unified yet varied quartet of the entire series, centre on the contrasts of the variations, one of Beethoven’s most extraordinary sets. He was absorbed by variation form all his life, and one might broadly say that he began his career treating a theme to decoration, continued by subjecting it to intensification (as in the Razumovskys and Op. 74), and in this last phase (as also with the piano sonatas and the Diabelli Variations) used the technique to explore the very essence of a theme. In Op. 131, astonishingly, we never actually hear the basic theme in its simplest form, but skilful playing gives it prominence through all its manifestations. It is a wonderful piece of composition, beautifully expounded here. So to Op. 135: after Op. 131 in 1826, who could have foretold this return in the same year to the spirit of Haydn, albeit one marked by a creative lifetime’s experience? The Endellions do not play it as a rather more knowing member of Op. 18, but something more substantial, with the mere 54 bars of the Lento as intense as its more expansive predecessors, and the famous ‘difficult decision’ is confronted with mock-severity. Instead of ending the finale in high spirits, as most players do, they allow a certain ambivalence, perhaps even a faint wistfulness, to hover over the closing pages, however robust the final cadence. 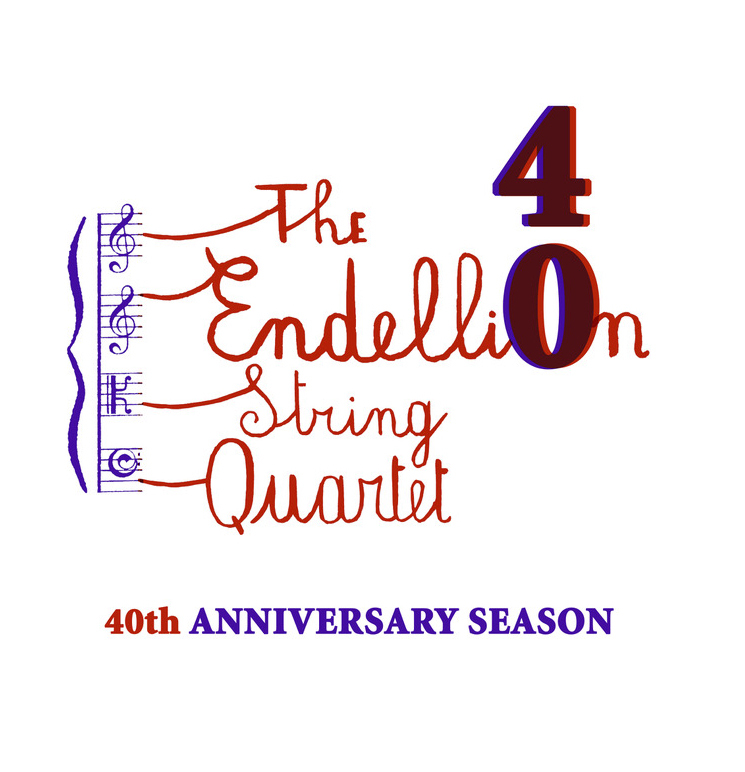 FOR 25 years the Endellion Quartet has been one of Britain’s leading chamber groups, giving elevated performances in the most unassuming manner. And for this anniversary concert, 25 years to the day since their first rehearsal, they were on that characteristic form, with a lofty programme and no birthday concessions until they came to their encore: a Birthday Ramble written for them by Annette Isserlis many birthdays ago, but still an amusing catalogue of string quartet gestures. They opened with a work that has been central to their programming: one of Beethoven’s Razumovsky Quartets, Op 59 No 2 in E minor. Right from the questing opening they brought a big sound, plenty of definition and tonal depth — but that is not the only way they play. Responding to Beethoven’s mercurial genius, they supplied the quick changes from fiery drama to lyricism that occur in a matter of seconds. Like all the best quartets, the Endellions perform as one yet have individual identities. Each of the players — Andrew Watkinson, Ralph de Souza, Garfield Jackson and David Waterman — made his own mark as the Beethoven unfolded its long movements, but especially in the Allegretto’s quasi-fugal treatment of the Russian theme. The slow movement was an intense outpouring, and the finale brought fleet-footed virtuosity. Webern’s Five Movements for String Quartet, his early venture into atonality, revel in the possibilities of previously unheard string colours. The players gave a wonderfully concentrated account of these shadowy, shimmering pieces. In a nice gesture, they invited the group’s founding second violinist, Louise Williams, back to join them as the extra viola player in Mozart’s String Quintet in G minor, K 516. It could hardly have been a happier performance, even though this is late Mozart at his bittersweet best: never really sunny, never tragic. All five players found the richness and heartfelt intensity of the work, while also bringing restraint to the Menuetto and dreaminess to the slow movement. It was Webern who wrote that “quartet playing is the most glorious music-making there is”, and these musicians performed with a relish that explains their long success. “Did you manage to get a ticket for the Endellions” has been the chief topic of conversation at concerts in and around Leeds over the last six months, every remaining seat for their Beethoven Cycle of String Quartets having been quickly snapped up after the opening concert. It had simply started life as an idea to bring more shape to the monthly series of chamber music concerts presented as part of the Leeds International Concerts Season, the move from the Civic Hall to the newly opened concert venue at the Leeds College of Music offering a chance to try something a little different. You did not have to go far into the first programme to realise that the marriage between the Endellion String Quartet and The Venue was going to be something very special, the clarity that both engendered opening up the music’s texture as we have rarely experienced. The art of presenting music is to persuade the listener that the most meticulously prepared performances are totally spontaneous, the Endellion achieving that objective throughout the Cycle, nowhere more so than in the Opus 95 Quartet that carries the name Serioso. As if just discovering a great score, the imposing dynamic range they brought to the music encapsulated in an awesome sense of drama the four minute opening Allegro. That performance only reinforced the fact that the Endellion have four instruments that can form a seamless quality of tone, a feature that worked perfectly for Beethoven’s predilection in passing thematic material between the four parts, and in particular between the two violins and viola. At the lower end, David Waterman provided a firm and potent cello line, grasping those solo moments with playing of real distinction. Of course, such masterworks have had to withstand so many differing views over the years; the later Quartets often being over-burdened with grief and angst, while the debt that Beethoven owed to Haydn in his Opus 18 set being so frequently thrust at us. The Endellion went down neither road, presenting each score without personal interventions, a perfect example being with the third movement of Beethoven’s last Quartet which benefited so greatly from the understatement of the sorrow expressed, easing the jolt in mood to the finale’s sprightly gesture of happy defiance. Technically, the playing throughout was difficult to fault, intonation, with rare exceptions, being in the centre of every note, the Quartet never sounding rushed, though many of the tempi were very quick. Nowhere was this more welcomed than in the closing movements of the Second and Third Rasumovsky Quartets, the mercurial fun bubbling with good humour as they whizzed along, the many dynamic shades of the Second adding to the merriment of its quizzical little theme. To encapsulate the virtues of this complete Cycle, we should go to the performance of Opus 131. By the time he composed this score Beethoven was so profoundly deaf that the only sounds he could hear were those in his head. In that strange sense of isolation we have a work that passes through the many moods of his life, happiness in a short Presto abruptly changing to his final thoughts of anger and sadness. It is a score that can sound facile unless you have musicians who can unlock the doors to the changing moods. The Endellion’s wide range of colours searched and delved so deeply below the printed page that you emerged from the concert feeling emotionally drained, having been taken into the despondency of the composer’s mind. We are promised a Schubert Season beginning this Autumn, when seats will no doubt be the hottest property in town.